This online course presents the fundamentals of biomanufacturing. 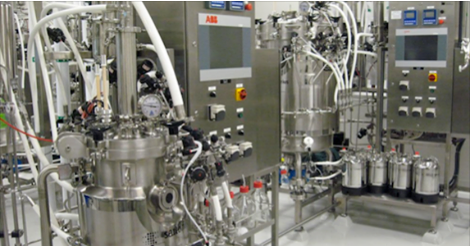 It focuses on the unit operations utilized to manufacture biological drug products. After an overview of product types, processes, and current Good Manufacturing Practice you’ll address the maintenance of cell lines and growth of cells in a bioreactor. Topics such as mass transfer, process control, and product expression are emphasized. In the second half of the course, lectures focus on downstream unit operations that harvest cells, remove byproducts or contaminants, and fill the final bulk product. This course was developed in conjunction with the Biomanufacturing Training and Education Center (BTEC) at NC State and SBE. Six instructors from the staff of the Biomanufacturing Training and Education Center (BTEC) at NC State University provided content for this course. Explain how cell lines are maintained and grown in bioreactors to express biomolecules. Describe the unit operations required to recover, purify, formulate, and fill bulk biological drug substances. Conceptualize processes for the production of biological drug products given a particular cell line and biomolecule. Any chemical engineer working in a design, operations, or support function within a biopharmaceutical or vaccine company. Can A Design Space Be Built On Material Attributes Alone?